Greetings from the Faske Family! Welcome to the Vida Nueva Ranch website. Our home and headquarters is located in beautiful Washington County near Rocky Creek Park on Lake Somerville. We are surrounded by abundant wildlife and lots of big, beautiful Live Oak trees. We are blessed to have this opportunity to raise our family in a place with such natural beauty, quiet and peaceful surroundings and fresh country air. As a family, we have all pitched in towards building a working ranch. 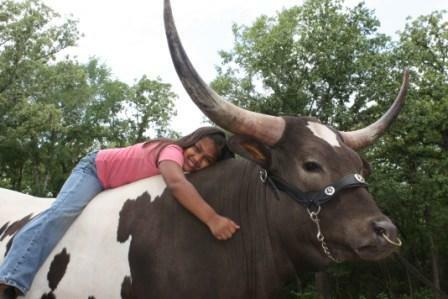 We enjoy our time together as a family, taking care of the animals and maintaining the ranch. We raise Texas Longhorn Cattle and Nigerian Dwarf Goats. We strive to raise high quality livestock that can be enjoyed and appreciated.